Sunflower debuted on 18th December in Elbasan at the ‘Volunteers’ cultural centre. 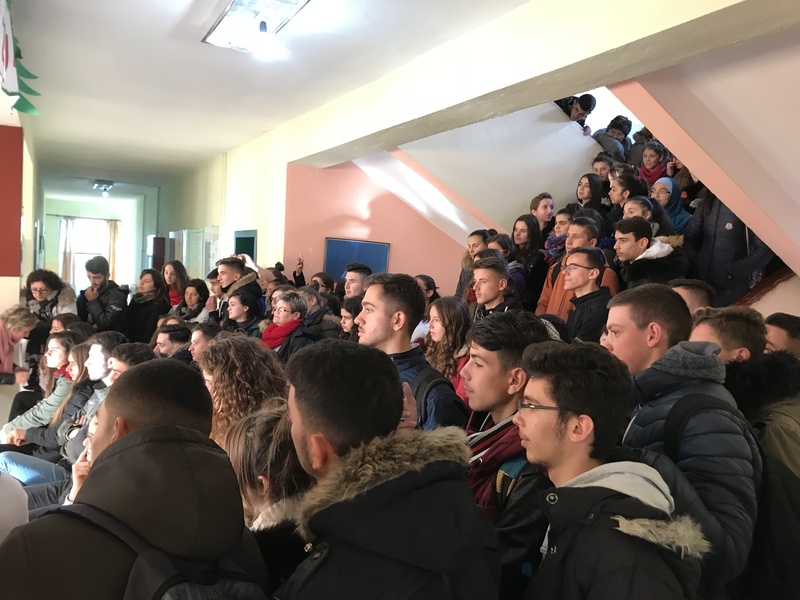 The second performance, then, took place on 19th December in Cërrik, in the district of Elbasan. 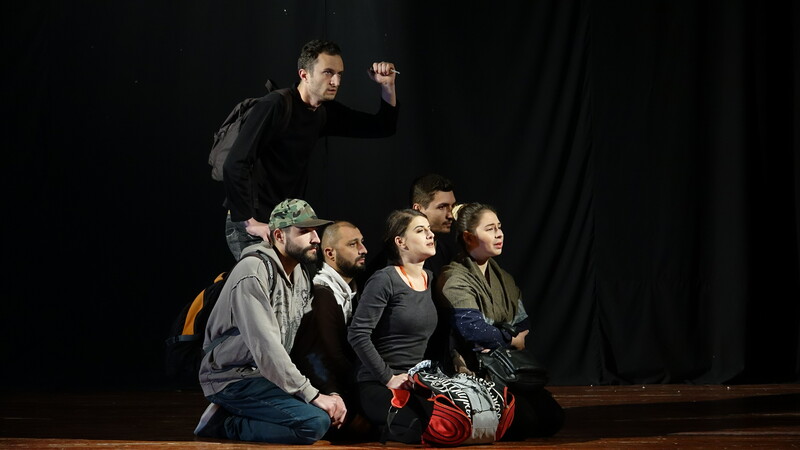 The performance, which evokes the journey full of sacrifice that characters with different ethnic and cultural backgrounds such as immigrants, asylum seekers, and refugees go through in search for a better life, was very well received by the audience, who found it interesting mostly for its multidisciplinary artistic approach and its sensitive subject. During the first performance of Sunflower, the public was made of 250 people, all of them youngsters; in the second event, the crew performed at the ‘Tomorr Sinani’ high school in front of 200 pupils, who came from segregated communities, and thus from outside the areas where artistic productions are usually presented. 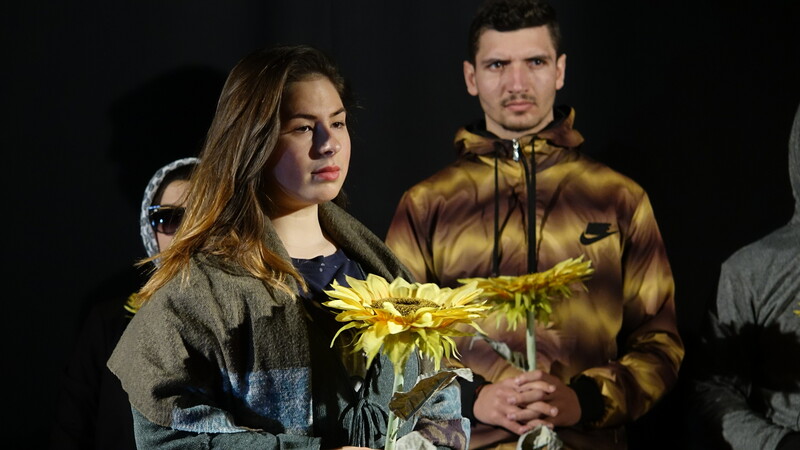 The Sunflower preparatory work, which lasted for more than two months, was completed successfully thanks to the collaboration with non-professional and young artists and a cast including actors with diverse cultural backgrounds. 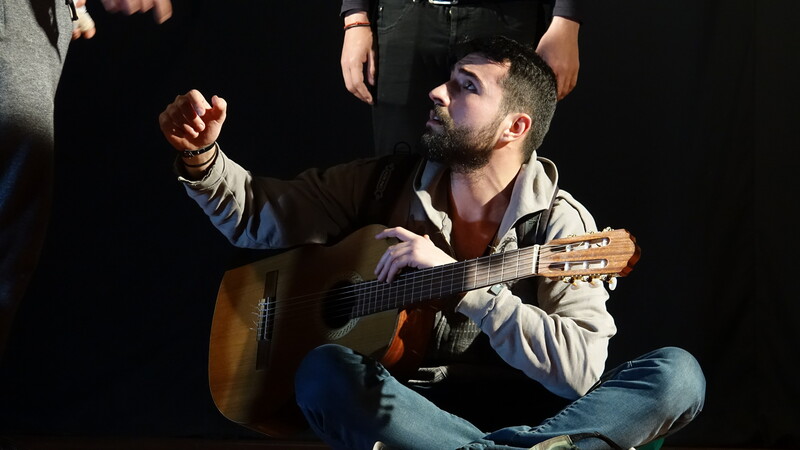 Finally, the artistic form and language of Sunflower highlight that there is still room for improvement, particularly for the participation of the performers, in order to continue the mission stated by the Atlas of Transitions project. 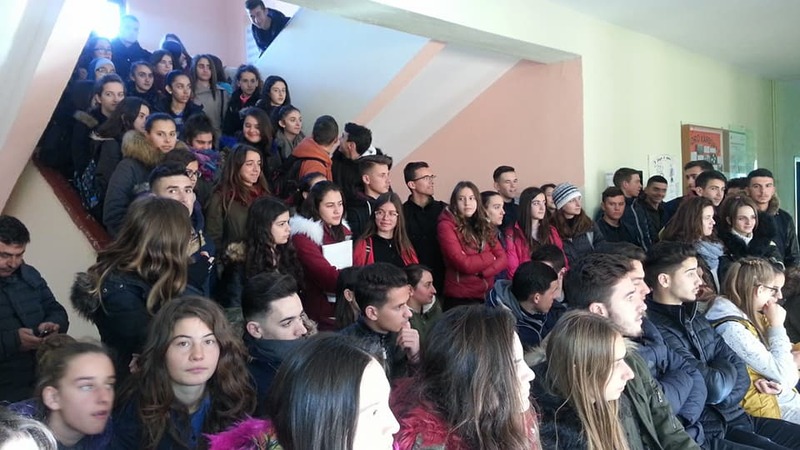 Gentiana, who participated in the workshop organized in the high school where she studies in Labinot Fushë, in the municipality of Elbasan, says: "It is the first time we can openly talk and discuss the problems and issues that migrant returnees face when they come back to their country of origin. Our generation is the first one that has the chance to learn from and about such themes". Nardi, who is a student in the high school in Cërrik and a returnee himself is a very shy boy. 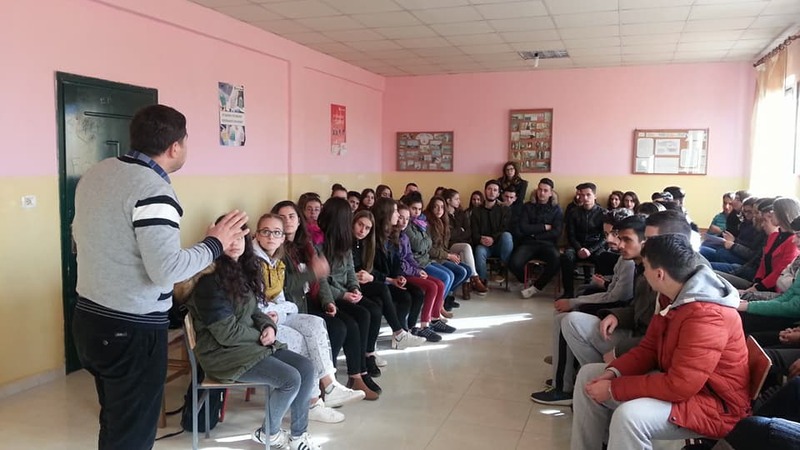 When asked about his personal experience at the time of his return to Albania, he shared these words with us: "I was born in Greece, since my parents had emigrated there about twenty years ago. Later on, the economic crisis forced them to return to their country of origin. At the beginning, for me that has been a shock, as I had problems with the language as well as with culture and people’s attitude and with the services offered here. My classmates called me by nickname such as Jorgo, which means ‘the guy from Greece’. Step by step then, I started adapting to new environments and now, after only three years, I feel better, although I still hope to move to Greece one day, as I don't feel at home here. I have been supported by teachers and friends but there are lots of challenges to face. Sometimes, people still call me Jorgo, sometimes they call me ‘refuges’. The workshop here represents the first time we have talked together about migration-related issues. 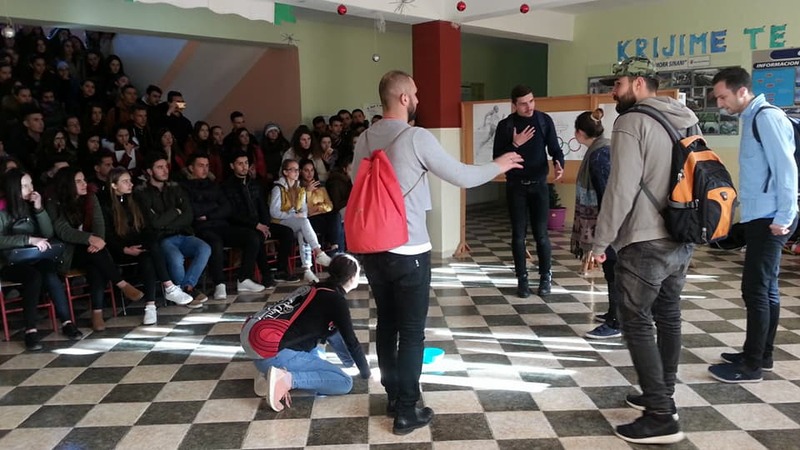 This is a very encouraging project, as it involves us in expressing our feelings through open dialogues and participation in theatrical activities". Dorina, a student in the Elbasan high school, after assisting the Sunflower performance, shows her emotions during the subsequent reflection session: "Looking at this performance made me feel sad about the destiny and the experiences that migrants face in order to find the conditions of life they are looking for. Often, we have prejudices about them and discriminate them, as we don’t step into their shoes and don’t know their background and life experience either. Often, we blame them for their attitudes and behaviour and we try to avoid their company. Thank you for making us see the other side of the medal”.